It seems that the online casino segment is not slowing down, at least in terms of developing new gaming websites with enhanced deals and promotions. More than a dozen online casinos have been released so far, and more are expected to be unveiled soon, making the industry more competitive. But the true winners are not the operators but the playing public in general. With dozens of new online casinos to choose from, playing the best games backed by the best and most attractive deals will become easy. Two popular online casino launches that are making a mark online are Rise Casino and Barbados Casino. The casino names maybe new but the team behind these platforms are experienced i-Gaming professionals who understand what the players want and need. And this is exactly what makes these new casinos stand-out; since they are powered by experienced teams, these casinos offer the best combination of promotions and services. Rise Casino promotes the simplest way to play and win on slots. With a large collection of fantastic slots from quality game providers and promised Free spins, your slot-spinning experience will definitely improve. Read our comprehensive review and grab some Free spins on your first deposit! The teams behind Rise and Barbados Casino are no stranger to the online gaming environment. Rise Casino which boasts 300+ games is owned and operated by Cassava Enterprises (Gibraltar) Limited, a brand owned by 888 Holdings plc. This is one of the leading operators of online casinos and bingo rooms, and have been operating these platforms for decades. As a casino owned by Cassava Enterprises, this casino offers games that are mostly powered by the Dragonfish software. This software allows players to enjoy the games on multiple platforms, including mobile. Barbados Casino, another new launch for 2018 is also powered by an industry insider. The site is owned and operated by Aspire Global International LTD, a company based in Malta and operates a number of other online casino brands. With its Caribbean-themed casino, Barbados Casino offers video slots, scratchcards and live casino. Barbados Casino and Rise Casino are not only similar in terms of an experienced teams working behind the scenes; both these casinos are also known for improved Welcome Bonuses and extra spins which have become a standard for all new casinos for 2018. On top of the premium games, Barbados Casino also delivers its own share of quality promotions including the promising welcome offers and the VIP program that’s available in 7 tiers. To learn more about this amazing online casino, and grab their Welcome Bonus offer - read our comprehensive review! Thanks to growing competition, new casinos launched today are competing in a creative way, offering improved perks and promotions. Today, it’s easier to find online casinos that offer a lucrative Welcome Bonus that comes with deposit match bonus, bundled with extra spins. For Barbados Casino, new customers can enjoy a 100% bonus up to €200. 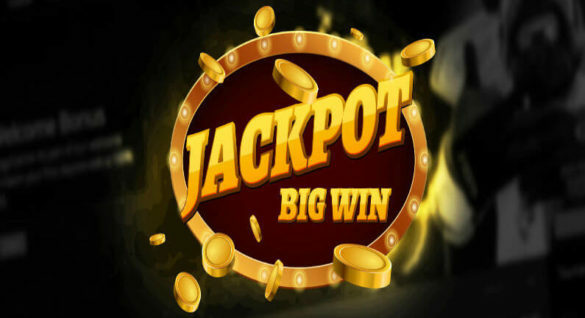 This offer also comes with 100 extra spins which can be played on a number of slot games. Aside from this lucrative offer, the casino also offers a VIP monthly cashback that can surely appeal to loyal players who play for real money. The same trend can be seen in Rise Casino, the new gaming hub operated by Cassava Enterprises. New customers are instantly given 25 Free spins as soon as a new account has been created. 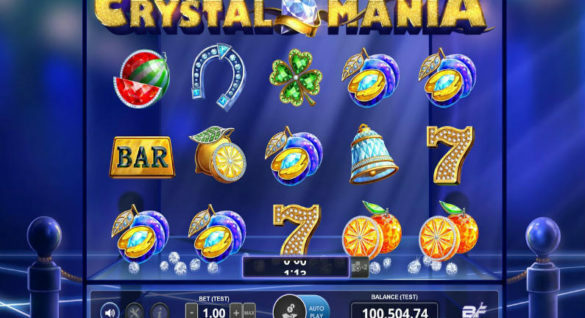 This set of extra spins can be used on Fluffy Favourites, a leading online slot game. Now, this offer is made even sweeter since the casino also promises up to 50 extra spins that can be earned on a daily basis, on top of the monthly perks and promotions. It even offers a Rise Rewards Program which boost the chances of players when it comes to earning more points and perks. From these set of promotions alone, it’s safe to say that the leading new online casinos today are committed to helping players by offering improved bonus offers. Aside from lucrative offers, the improved deals can also be shown in the quality of support given to players. All new online casinos deliver competent Customer Support, and these are available in different forms and multiple channels. It is no longer enough for new casinos to offer an e-mail or Live Chat feature. In its commitment to be different, today’s new set of online casinos offer a FAQ page, Help Desk, Help Station and Resource pages. Also, many of these new casinos maintain social media pages, hosting profiles on YouTube, Facebook and Twitter – just like HitCasinoBonus – which definitely boosts its engagement with customers. In short, today’s new set of players can count on a superb set of promotions and services from new casinos. Up to £400 in Welcome Bonus Offers + 100 Spins. New eligible UK players only. Select Casino offer on sign-up and deposit. 4 deposits of £10, £20, £50, £100 matched with a bonus cash offer of same value (14 day expiry). 35x real money cash wagering (within 30 days) on eligible games before bonus cash is credited. Spins credited upon deposits; under £50 =10 Spins, £50 or over =25 Spins; on Book of Dead only (3 day expiry, winnings paid in cash). Play Responsibly. 18+ begambleaware.org. Click for full T&C's. 100k Spin Drop Easter Special. 18+. Log in and play the game of the day between 19:00 and 22:00 BST to qualify for a chance to win to win Free Spins. Max 10 Free Spins per player/day. Free Spins allocated evenly across across promotional period. Free Spins awarded at random on game launch and expires after 24h. Full T&C's apply. New eligible UK players only. Select Casino offer on sign-up. Spins must be claimed on ‘’My Offers’’ page within 14 days of sign-up. Spins for Book of Dead game only and have a £0.10 value each; expire 7 days from claim. 35x wagering on eligible slots before winnings are converted to cash. Play Responsibly. 18+ begambleaware.org. Click for full T&C’s. 100% up to €100 + 100 Spins on Starburst. 18+. New players only. Selected slots only. Full T&C's apply. Welcome Bonus worth up to £250 + 150 Free spins. 18+. New players only. The welcome offer comprises of three bonuses: One matched bonus up to £250, up to 150 Free Spins and a £10 Match Play to use in any of our Cashino retail venues. Full T&C's apply. 10 Free spins on Book of Aztec upon registration. 18+. New players only. Full T&C's apply. 25 Free Spins, No Deposit - No capped winnings or wagering requirements! 10 Bonus spins at Starburst at registration. New Players Only, 18+, 4x Max Conversion, Only on Starburst, 100x Wagering on Winnings, SMS validation req, No dep req. Full T&C's apply. 18+. New customers only. UK Only. 10 Free Spins on registration and mobile verification. Free Spins have 3-day expiry and are available on Slots O’Gold, Fishin’ Frenzy, Eye of Horus and Diamond Jackpots games only. Cash balance withdrawable anytime + £2.50 fee. Full T&Cs apply. Deposit & Play £200 on selected slots and get 25 Cash Spins on Starburst. 18+. UK new players only. Customers depositing via Moneybookers, Skrill and Neteller will not be eligible for this Cash Spins Offer. 3 day expiry of spins after they have been added. 14 days from registration to claim offer. Full T&C's apply. Deposit & Play £25 on selected slots and get 25 Cash Spins on Starburst. 18+. UK new players only. Customers depositing via Moneybookers, Skrill and Neteller will not be eligible for this Cash Spins Offer. 3 day expiry of spins after they have been added. 14 days from registration to claim offer. Full T&C's apply. Deposit & Play £100 on selected slots and get 25 Cash Spins on Starburst. 18+. UK new players only. Customers depositing via Moneybookers, Skrill and Neteller will not be eligible for this Cash Spins Offer. 3 day expiry of spins after they have been added. 14 days from registration to claim offer. Full T&C's apply. 60 Free spins upon registration. Selected slots and countries only. New players only. 18+. Full T&C's apply. Sign up and get 20 Free spins on Starburst. New custumers only. 18+. Full T&C's apply. 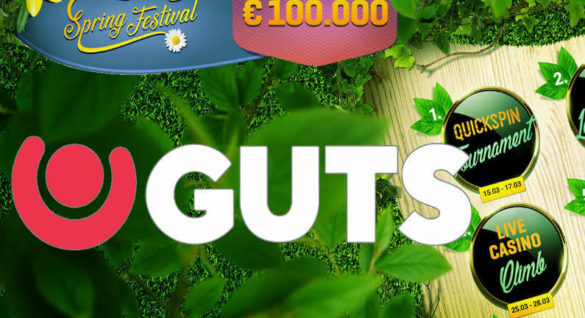 100% up to €100 + 101 Free Spins. 18+. New Players only. Deposits made from Neteller or Skrill do not qualify for this promotion. Full T&C's apply.